Portrait miniatures and sporting pictures were chief among the solid sellers in a traditional assemblage of paintings at Chorley’s (20% buyer’s premium) Country House sale in Gloucestershire on January 29. 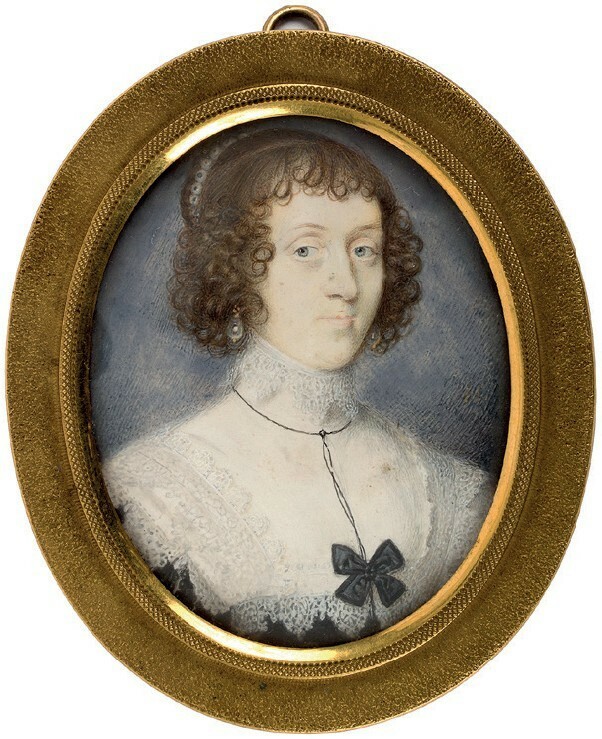 Miniature of an unknown lady by John Hoskins – £6500 at Chorley’s. The group of 17 miniatures – comprising mostly 17th and 18th century English subjects – came from Ombersley Court, a Georgian country house in Worcestershire. It was built for the first Lord Sandys in 1723 and had remained in the same family until recently. Leading the group was an early vellum portrait of an unknown lady by John Hoskins (1589-1664), who was uncle and teacher to the illustrious miniaturist Samuel Cooper. Signed in gold, it sold towards the lower estimate for £6500. The miniature dates to c.1635 when Hoskins began to shift away from the influence of Nicholas Hilliard and adopted the more painterly style of Charles I’s court painter, Anthony van Dyck, who had arrived in London from Antwerp in 1632. Examples of Hoskins’ work feature in the collections at Ham House in Richmond, Windsor Castle, the V&A museum and the National Portrait Gallery. A miniature of an unknown gentleman by Hoskins’ contemporary Cornelius Johnson (1593-1661) drew keen bidding. It sold for £5000 against an estimate of £2000-3000. Of German descent, Johnson became a prolific painter of portraits and miniatures in England and was made one of Charles I’s official painters in 1632. Leading the contingent of sporting art was a portrait of four English setters in a landscape by animal painter Arthur Wardle (1860-1949). Waiting for the Guns, a 17 x 23in (44 x 60cm) oil on canvas, tipped over top estimate to sell for £6500. Wardle was something of a child prodigy, exhibiting his first artwork at the Royal Academy aged 16. The Duke of Beaufort by John Arnold Wheeler – £5500 at Chorley’s. 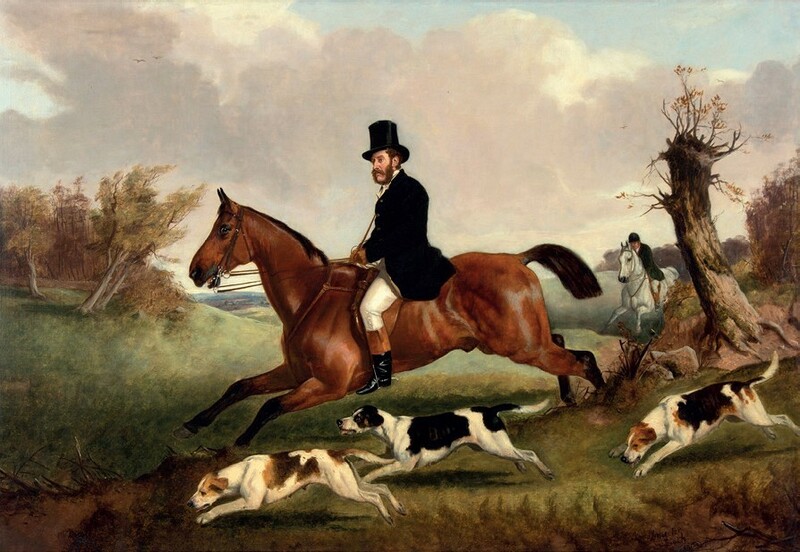 A multi-estimate sum was bid for a John Arnold Wheeler (1821-1903) painting of the Duke of Beaufort riding alongside his hounds. Wheeler had a number of distinguished patrons from the hunting community, Beaufort among them. The 2ft 1in x 3ft 1in (65 x 94cm) oil on canvas, inscribed with Bath 1860, had failed to find a buyer when it was offered for £2000-3000 at Bonhams in Edinburgh last year. With a revised £800- 1200 guide, it did better in Gloucestershire where it sold for £5500.